Between the Councils of Nicaea (AD 325) and Constantinople (AD 381), the Trinitarian controversy turned on a heated and complex discourse about the possibility of discourse. 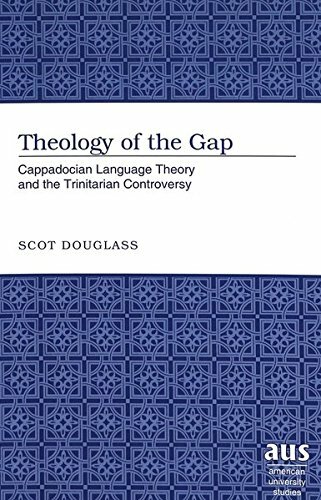 Theology of the Gap examines how the Cappadocians initially turned to the limitations of language to defeat their Neo-Arian opponents, and discovered in the process the very resources for their own production of theology and the promotion of a certain style of Christian becoming. Scot Douglass uses insights from literary theory in order to re-open the gaps central to the Cappadocians’ construction of created reality, and also to map out the coherencies they forged between the diastemic and kinetic structures of creation, language, theology, truth, spirituality, and silence. In doing so, Douglass invites the reader not only to reconsider how diastemic epistemology works itself out in Cappadocian thought, but also how this register of the Cappadocian voice speaks to contemporary notions of post-Christian theology.